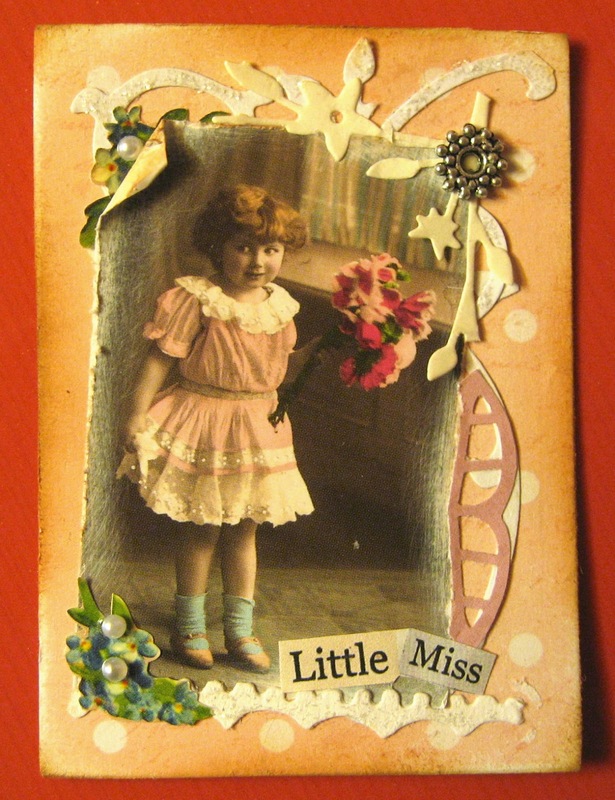 With this card I also take part in Fun with atc:s challenge. 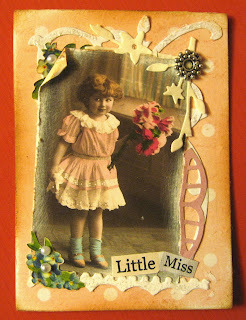 Delicious vintage collage - love the image and pretty die-cuts. Thanks so much for playing along with us at Fun With ATCs. Söpö ujostelija kortissasi ja kivoja yksityiskohtia. Kiitos osallistumisestasi haasteeseemme!